Review • Rough footage traces roots of Black Lives Matter outrage. 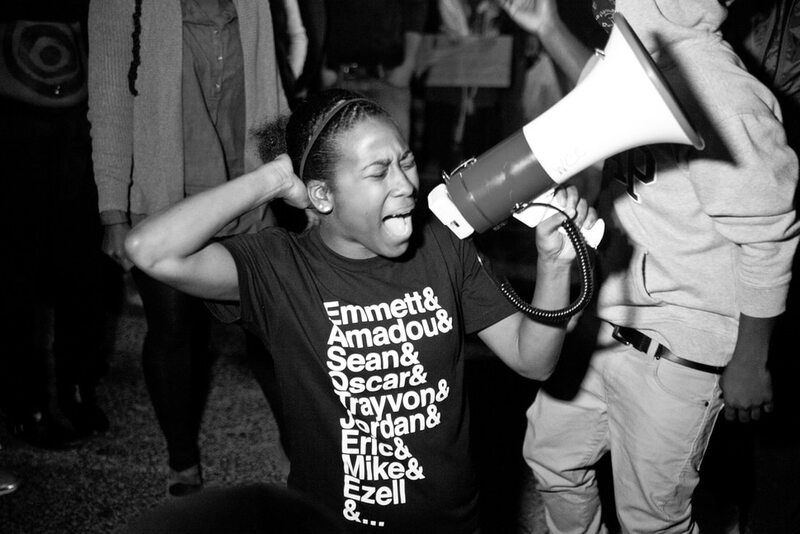 (Autumn Lin | Magnolia Pictures) Activist Alexis Templeton on the protest line in Ferguson, Mo., in a moment captured in the documentary Whose Streets? (Autumn Lin | Magnolia Pictures) Riot police mobilize in Ferguson, Mo., in a moment captured in the documentary Whose Streets? 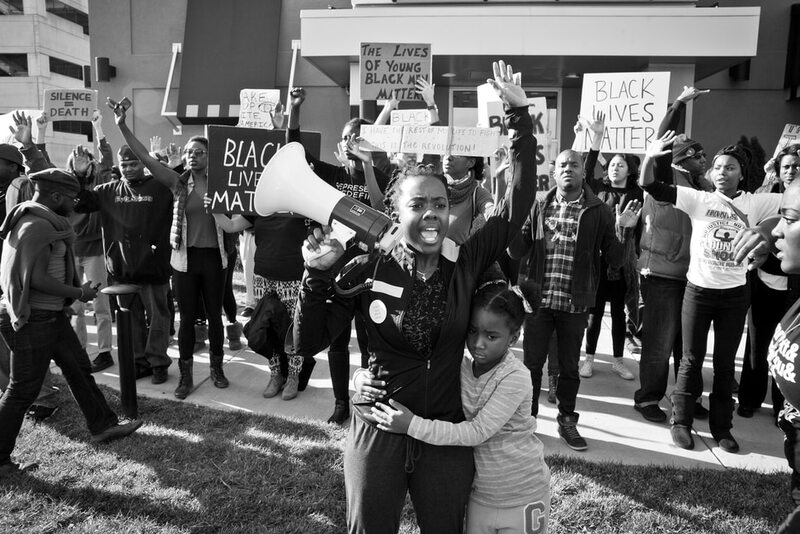 (Autumn Lin | Magnolia Pictures) Activist Brittany Ferrell stands with protesters in Ferguson, Mo., in a moment captured in the documentary Whose Streets? (Autumn Lin Photography | Courtesy Sundance Institute) A memorial to Michael Brown, the 18-year-old man gunned down by police in Ferguson, Mo., is seen in the documentary Whose Streets?, directed by Sabaah Foyalan and co-directed by Damon Davis. The movie was in the U.S. Documentary competition of the 2017 Sundance Film Festival. The searing documentary “Whose Streets?” — which debuted at this year’s Sundance Film Festival, but seems more timely now — captures both a moment and a movement, and why one of those escaped the notice of the mainstream media. Director Sabaah Folayan and co-director Damon Davis compile a riveting chronicle of what happened in Ferguson, Mo., starting on Aug. 9, 2014. That’s the day a white police officer shot dead Michael Brown, an 18-year-old whose only obvious crime was walking in the middle of the street. For the African-American residents of Ferguson profiled by Folayan, Brown’s death was another example of the injustice they have experienced for years. This, they say, was the final straw — and their anger and pain poured out into the protests in Ferguson that night and subsequent nights. What the national media showed was the most extreme events of those nights: The burning of a convenience store, and the police pushing back the protesters with their militarized might. What Folayan sees with Brown’s death, and similar cases of African-Americans killed by police nationwide, is the stirrings of what’s now called the Black Lives Matter movement. 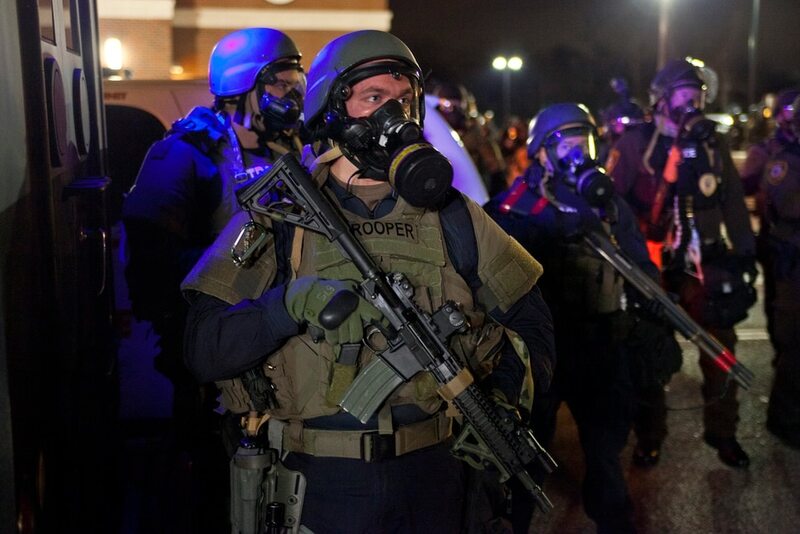 The movie’s ground-level view, augmented by the ample citizen-made videos of the events, show what the national news missed: The daily feeling among Ferguson’s African-American population that they are not free citizens but a community on the receiving end of an occupation. Folayan, unashamedly using her documentarian skills toward advocacy, lets her subjects display their outrage, their determination and their hope that things may ultimately get better. The results in “Whose Streets?” are raw and rough, but they’re also vital and compelling. A raw chronicle of the events in Ferguson, Mo., after a white cop killed a black teen, that gets past the usual media narratives. When • Opens Friday, Aug. 25. Rating • R for language throughout. Running time • 90 minutes.